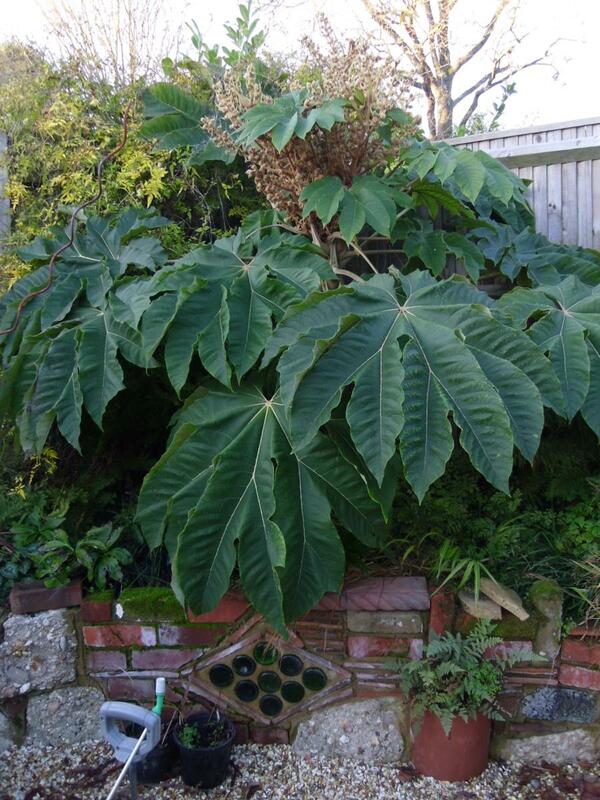 Tetrapanax papyrifera'Rex' has wonderfully eye catching huge Gunnera sized architectural leaves on a plant that is hardy in all but the harshest parts of the UK. 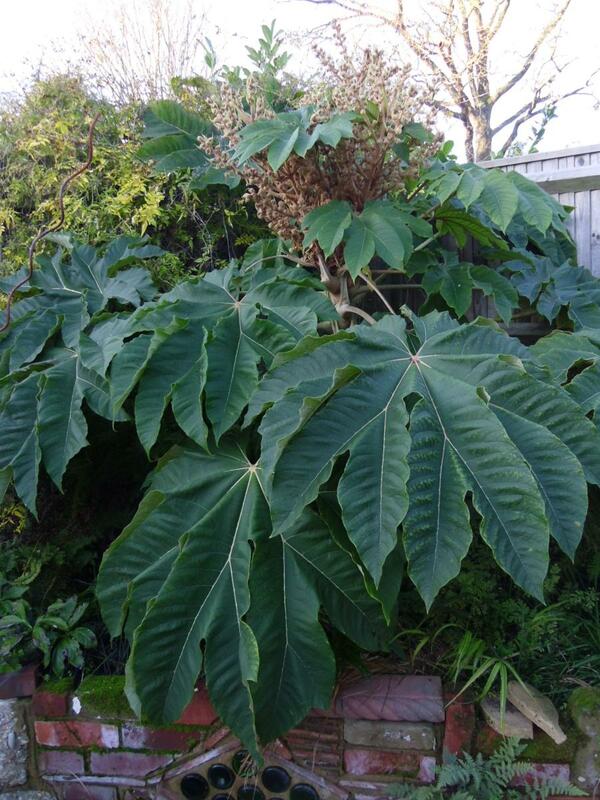 This form is one of the hardiest and perhaps the largest in terms of leaf, which can grow to 3ft across, and it is very vigorous and easy to grow, but very manageable – taking pruning in its stride when needed. T.Rex is well named and certainly has that Jurassic appearance. 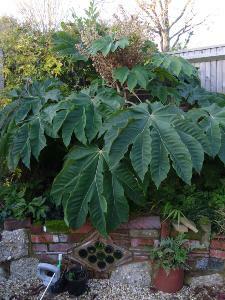 In all but the mildest and mostsheltered gardens, the leaves of Tetrapanax papyrifera 'Rex' will get frost damaged in winter and are then best removed to mulch the plant, much the same as you would do with Gunnera manicata. 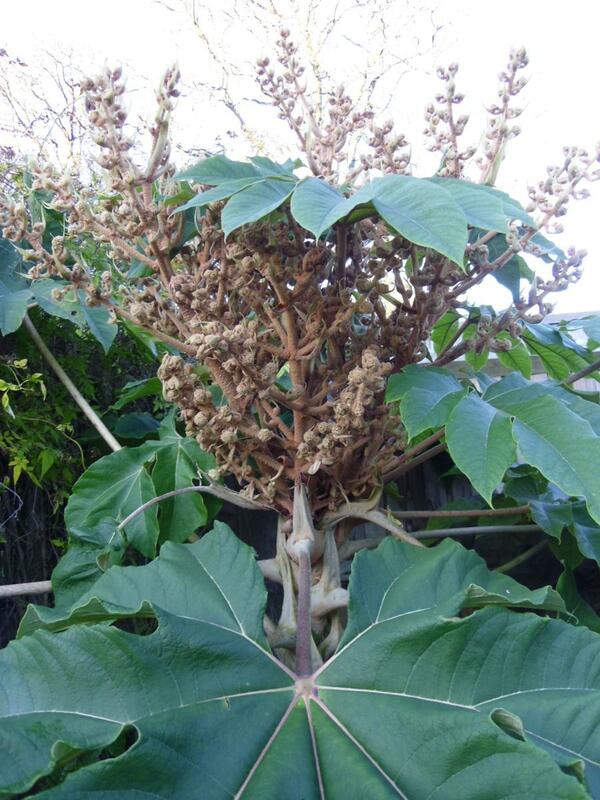 The stem, or trunk can be cut down to suitable size, the plant will sprout again from the main stem.